﻿ Best Price on Clarion Hotel & Suites Curacao in Willemstad + Reviews! Have a question for Clarion Hotel & Suites Curacao? For travelers who want to take in the sights and sounds of Willemstad, Clarion Hotel & Suites Curacao is the perfect choice. From here, guests can enjoy easy access to all that the lively city has to offer. No less exceptional is the hotel's easy access to the city's myriad attractions and landmarks, such as Gallery Alma Blou, Sambil Curacao, Beit Hayim Cemetery. At Clarion Hotel & Suites Curacao, every effort is made to make guests feel comfortable. To do so, the hotel provides the best in services and amenities. The hotel provides 24-hour front desk, express check-in/check-out, Wi-Fi in public areas, car park, room service to ensure our guests the greatest comfort. All guest accommodations feature thoughtful amenities to ensure an unparalleled sense of comfort. The hotel offers many unique recreational opportunities such as fitness center, outdoor pool, massage, children's playground. 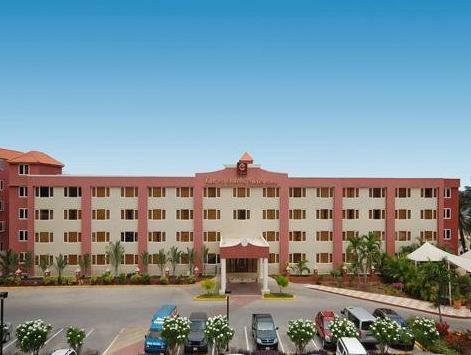 Whatever your purpose of visit, Clarion Hotel & Suites Curacao is an excellent choice for your stay in Willemstad.